LIGHTWEIGHT BREATHABILITY AND RANGE OF MOTION. 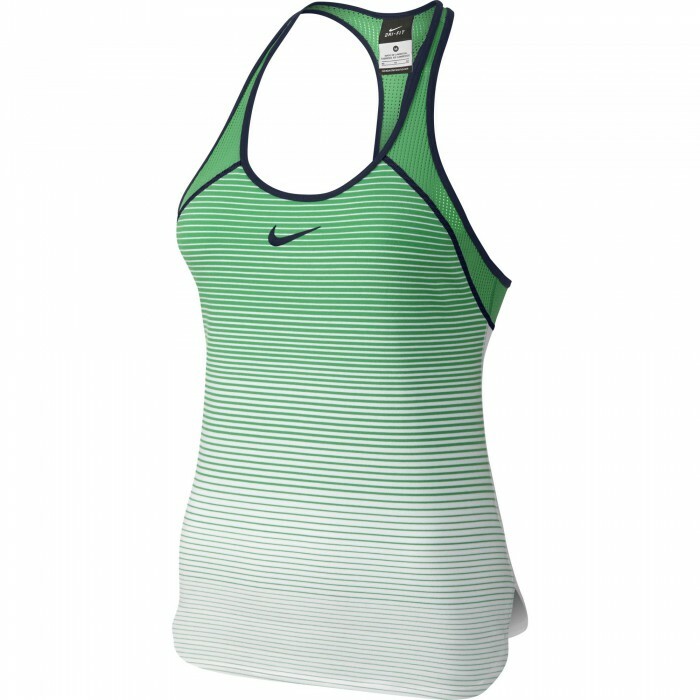 Женский теннисный топ Nike Premier Slam The racerback design of the Nike Premier Slam Women's Tennis Tank allows natural range of motion while its lightweight, perforated fabric increases ventilation. 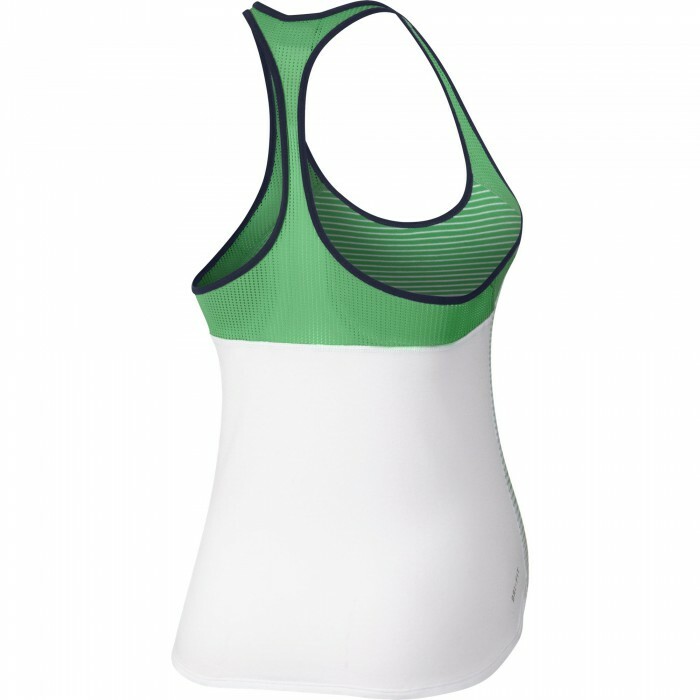 Mesh underarm and back panels enhance breathability. Dolphin hem allows for a great range of motion. Seasonal graphic is yarn dyed on the front. Body: Dri-FIT 260g. 60% polyester 32% rayon 3% spandex."